Facebook said 60 million users generated 208 million likes, posts, comments and shares related to the inauguration of President Donald Trump last Friday. The social network added that the nationwide Women’s March events last Saturday spurred its biggest day ever for 360 photos. 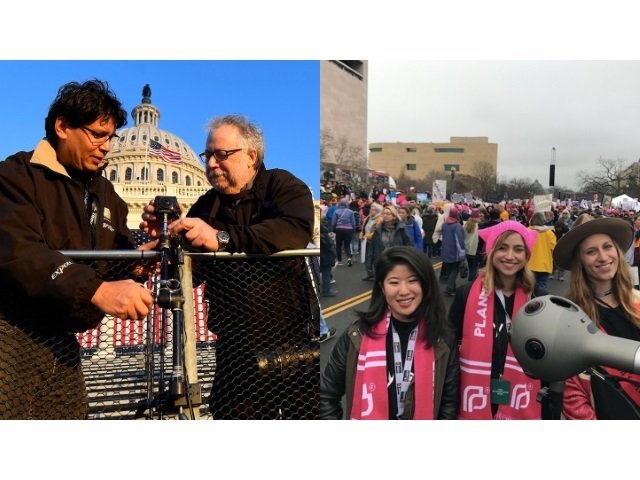 Product manager Chetan Gupta, strategic broadcast news partnerships executive Beth Loyd and product marketing manager Caitlin Ramrakha also shared Live 360 videos of last Friday’s and Saturday’s events from USA Today, Fox News, RYOT and NBC News (embedded below). Readers: Did you interact on Facebook during last Friday’s inauguration or the following day’s Women’s March events?